This was built as a final project for art class. 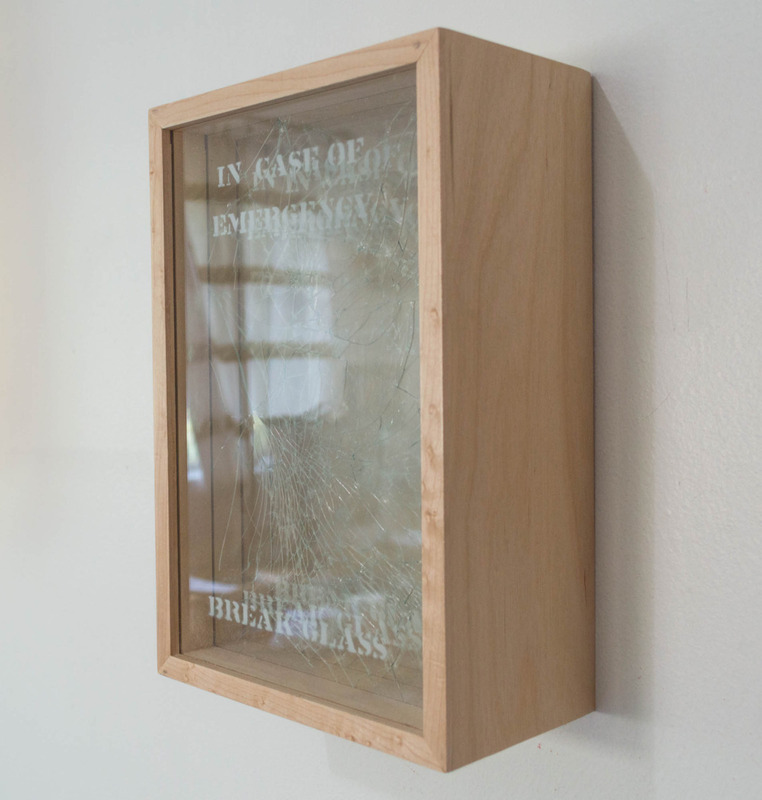 It is a plywood box that holds 4 layers of glass. 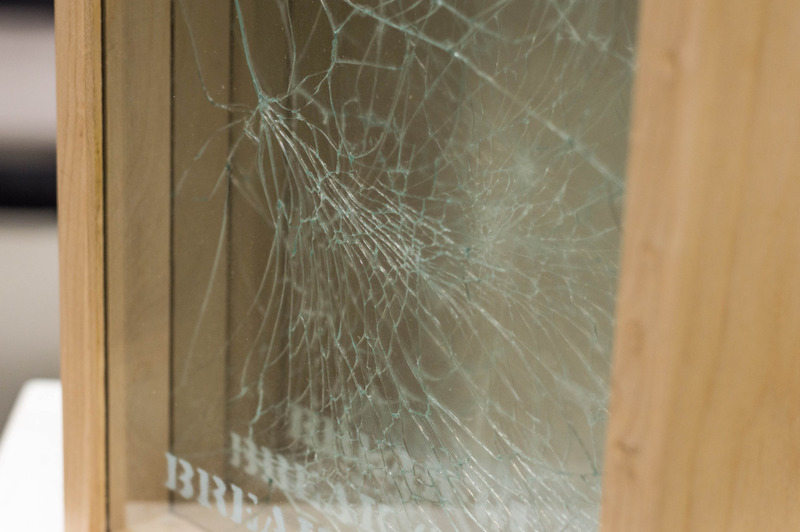 Each pane of glass was spray painted with the text “In Case of Emergency Break Glass”. The 3 back glass layers were each laminated and the smashed. This piece was displayed at the Musuem of Contemporary Art San Diego on May 5, 2016.